Marketing procurement is often accused of commoditising the agency resources and processes. This is because while the advertising industry is accepted as a ‘people’ based business, the consideration of the quality and value of those resources is often rarely considered or quantified beyond simple cost. Just recently I had a senior procurement person tell me that the winning agency should be the one “that promised the highest number of resources at the lowest price”. The marketers in the room simply rolled their eyes. 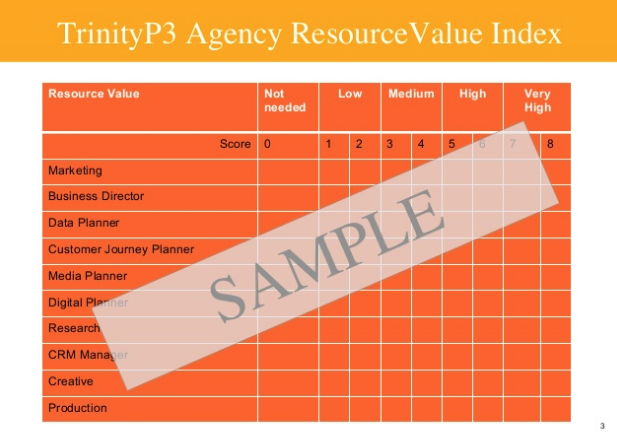 We have seen many times in a tender, procurement will use measures such as cost per FTE without considering a seniority mix or index using the TrinityP3 Resource Value Index, which we typically use on all agency resource and remuneration assessments. I have seen these used in a number of situations, with mixed results. The problem is being able to substantiate the information and create a like for like comparison. I remember at a advertising conference many years ago, Amy Smith, who at the time was the CEO of JWT ANZ, making the point that benchmarking did not work because it considered her a Ford Laser (a JWT client) when she was a 7-series BMW. Who is to argue with the fact that benchmarking has limitations. I have said before that benchmarks are simply a reference point and not the end result. We use a benchmark range so that rather than fixating on the average, you are able to assess where the results sit against market. You could have a highly talented and relatively young creative person being paid well above benchmark for their title. Or an older and experienced, but largely ineffectual, senior account director who is being paid below the benchmark. Who represents quality, let alone value? The answer is it depends. It depends on the strategic importance and function of the various roles for the brand or organisation. This is the approach we use for the Resource Value Index. It is not about defining the resource, but defining the requirement and then matching the resources to it. We can then apply the relevant benchmarks to the resource requirements. The process is less intrusive and judgemental of the individual resource put forward by the agency and provides the agencies with a much clearer view of what is required. The level of collaboration and cooperation between the agency and the other agencies on the roster. To achieve this we use the Evalu8ing system, which I have written about previously. It allows us to measure performance, relationships and collaboration in the one process. How does this come together? In the absence of being able to measure the financial value created by the agency relationship or the contribution to that value, we default to a measure of value that is based on the quality of the resources and the performance delivered by those resources. 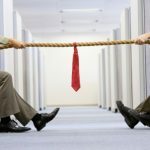 If you have a high quality team, well aligned to the strategic requirements, but it is under-performing in collaborating with the other agencies and not meeting marketer expectations this is low value. However if you have a low cost, but high index quality team that is performing above expectations this is a high value proposition. Matching the quality of the team to the requirements across the various agency disciplines then aligning the cost to the benchmarks for those various quality resources and monitoring and managing the performance of those relationships ultimately delivers value. How do you measure the value of your agencies? While TrinityP3 has developed the specific methodology here, the underlying principle is fairly straight-forward. The issue is not the methodology, but usually the implementation, or lack of it. 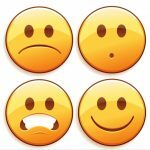 Some marketers will perform very narrow performance evaluations or not at all. Others will never really define or establish their strategic resource requirements. And others will simply default to cost and think either more money or a new agency will solve the problems. But in taking a more holistic approach to defining agency value you need to consider both quality and performance. A new 7-series BMW may be nice to drive, but do you need to invest at this level when a Ford Laser would do? And if you do invest in a new expensive European luxury car, would you not automatically monitor the performance and maintenance to ensure optimum performance? An agency retainer is much more expensive than a new luxury car. But perhaps not quite as complex.